On November 17, 2006, LP held it's 4th photo shoot in Puerto Rico, honoring the LP endorsers who live there. 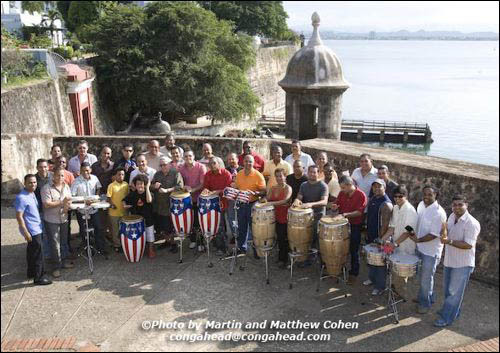 The LP endorser roster in Puerto Rico consists of the best players in the world. The shoot took place at Plazuela de la Rogativa, near the historic El Moro fort. The LP team that made this event such a success consisted of Steve Nigohosian, Jim Rockwell and Tom Schwarz. Special thanks is extended to Eddie Montalvo, one of my oldest friends and devoted LP supporter for all of his efforts in making this shoot a success.